Just a few minutes from DisneyWorld is Gatorland, the gator capitol of the world! 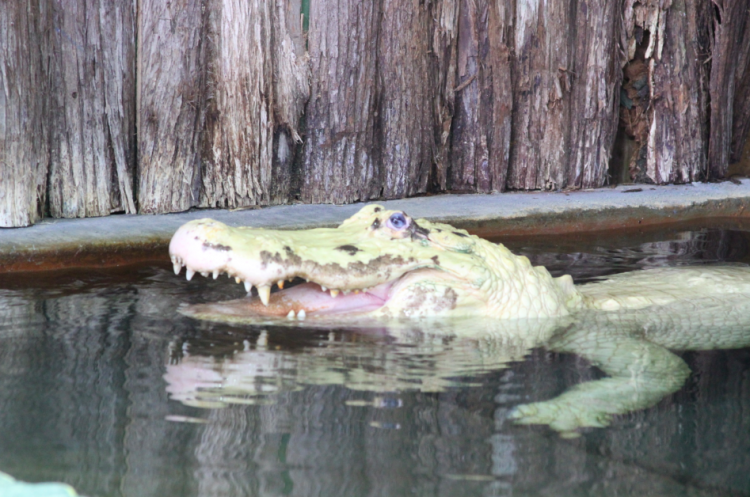 As someone who had no interest in alligators prior to my trip to Kissimmee, Florida, I was surprised at how much I enjoyed spending time at the Alligator Capital of the World: Gatorland. A privately owned 110-acre theme park and wildlife preserve, Gatorland is so much more than just observing alligators, despite the reptile’s lending their name and presence to the parks. Here, guests can take part in one of a kind animal shows, feed the local ‘pets’ at the petting zoo, go for an educational stroll through the natural alligator breeding marsh or get the adrenaline racing with the thrilling Screamin’ Gator Zip Line. 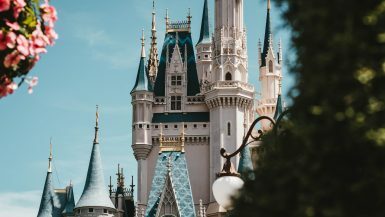 With these and other attraction options, Gatorland truly is a magical place where families can have affordable fun while creating once in a lifetime memories. 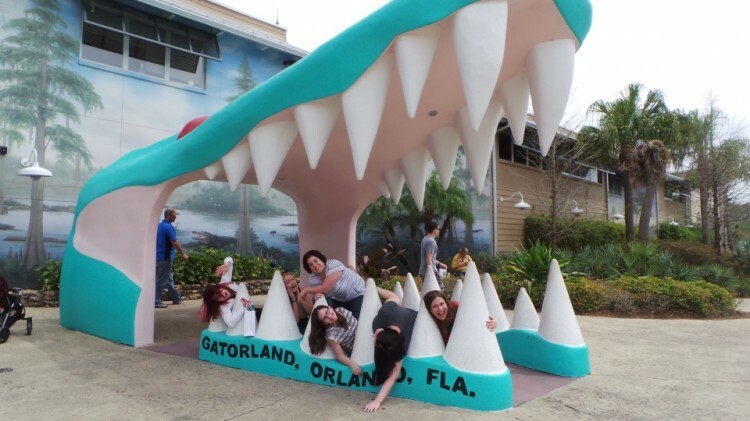 I had previously heard of Gatorland through searches of ‘Top Attractions in Orlando,’ of which this family run theme park won the title of Orlando’s Best Half Day Attraction, however a theme park revolving around alligators seemed repetitive and not worth precious vacation time. Within minutes of arriving however, my perceptions of Gatorland almost simultaneously adapted, shifting from ‘what is there to do here?’ to ‘how are we going to see everything in only one afternoon!? !” The answer was: we won’t. 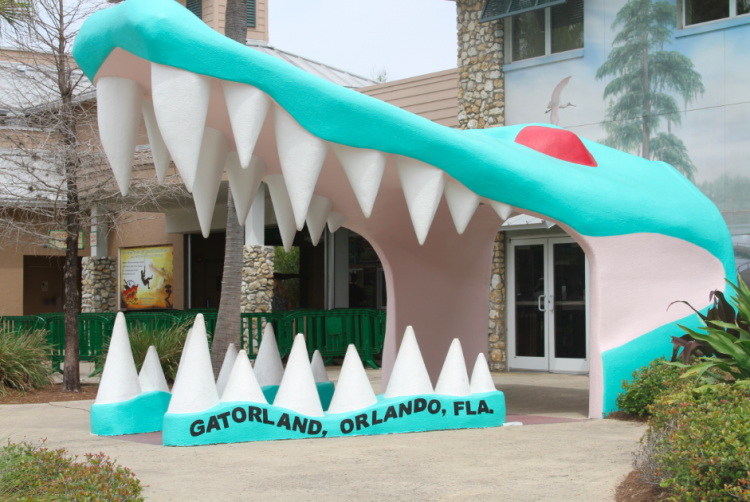 There’s genuinely so much to see and take part in, that Gatorland should have rather boasted a title of Orlando’s Best Low-Thrills Attraction. 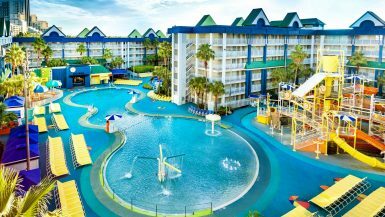 While it is slower-paced than competitive theme parks, the entertainment level is still supreme and the once-in-a-lifetime opportunities here make Gatorland a must-visit location in Florida. Guests first catch a glimpse of the fun to come, when greeted by a large exaggerated alligator mouth by the entrance. Our group loves taking pictures, and we could have easily have spent a half hour taking photos here, if it worn’t for our Experience Kissimmee guides, Rochelle and Nori letting us know that there would be assigned time upon leaving to take group shots. 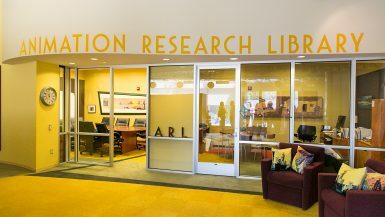 Little did we know that the entrance would just be the start of our photo-taking haven inside! Once in, we were whisked away to begin our Gatorland day with their Screamin’ Gator Zip Line. 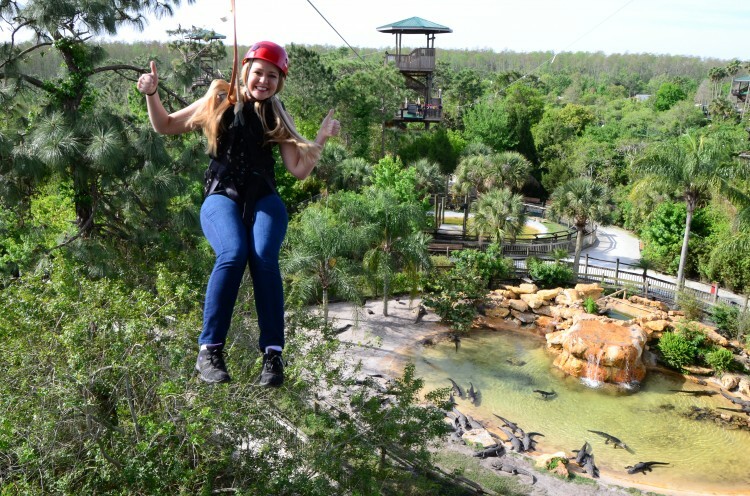 The two hour adventure takes guests along 1,200 feet of high flying, heart pounding zip lines that stand over seven stories tall, and lets guests glide over Cuban and Nile crocodiles as well as over thirty giant alligators who make the Alligator Breeding Marsh their home. I had zip lined before and always had an incredible time, but this was my first time soaring from such a high altitude and at such fast speeds. 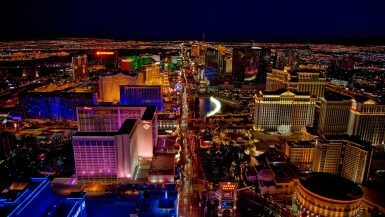 Promoted as one of the fastest and tallest zip lines anywhere, guests actually descend from as high up as 65 feet (or 6.5 stories high) and fly at speeds averaging of 30 miles per hour! The confidence I had quickly dissipated once I stood over the launch zone of our first zip line, but knowing how many safety precautions were taken for my leap, and having amazingly reassuring guides by my side, I was able to jump off and enjoy some of the most incredible and awe-inspiring views of the South Orange Blossom Trail. The zip line adventure was so much fun, and I’m glad that the tour included a photographer taking pictures, so that we could focus on staying safe for the other guests and animals, and have beautiful pictures to go through after. 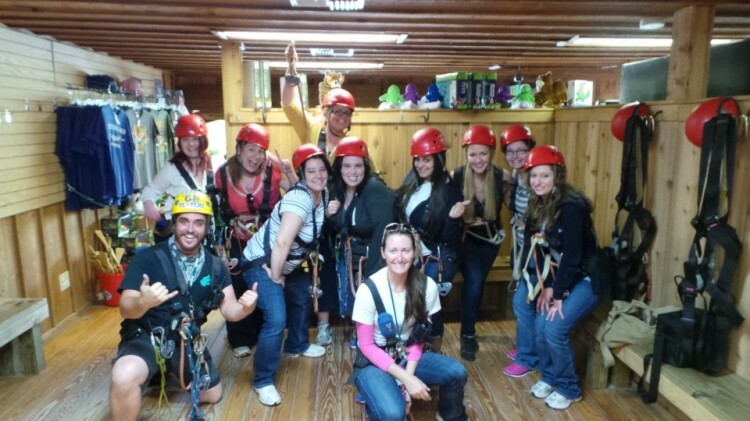 Following our zip lining experience, Gatorland kept our adrenaline racing by letting us take part in their Trainer for a Day program. 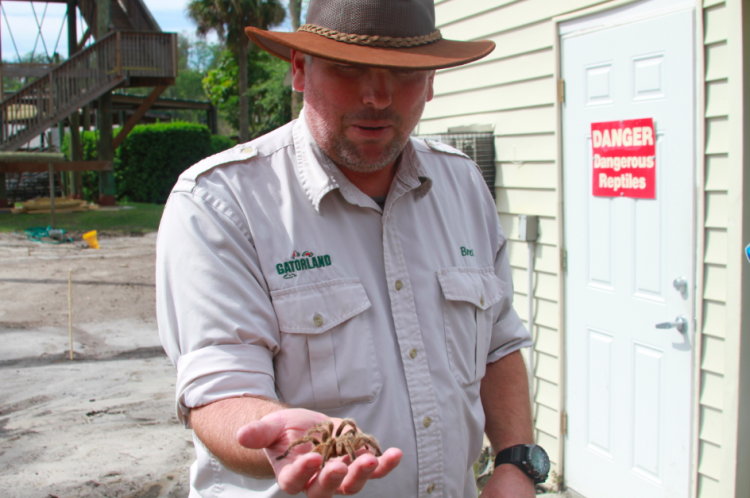 Providing a glimpse into what it takes to work with and around dangerous animals, we were able to learn first hand what it’s like to be a variety of the Gatorland members ranging from tarantulas and scorpions to snakes and white alligators! 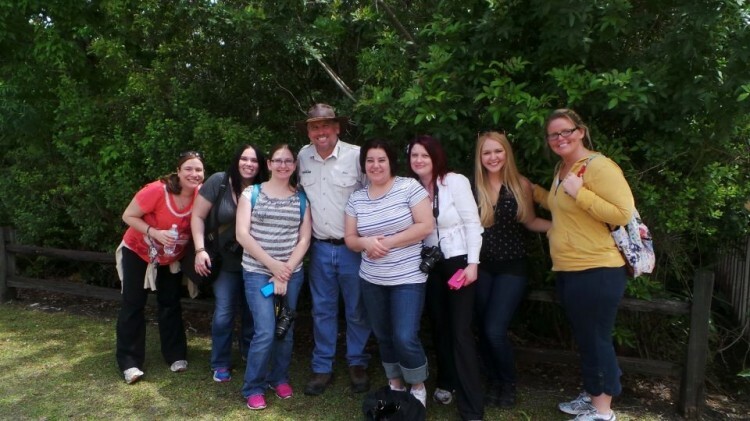 The entire experience seemed so surreal, as you are able to pose only feet away from deadly alligators (although they were not vicious around us) and take your chance with poisonous reptiles an creepy crawlers. The trainer tour was extremely educational and provided many of us with an opportunity that we would never be able to take on otherwise. 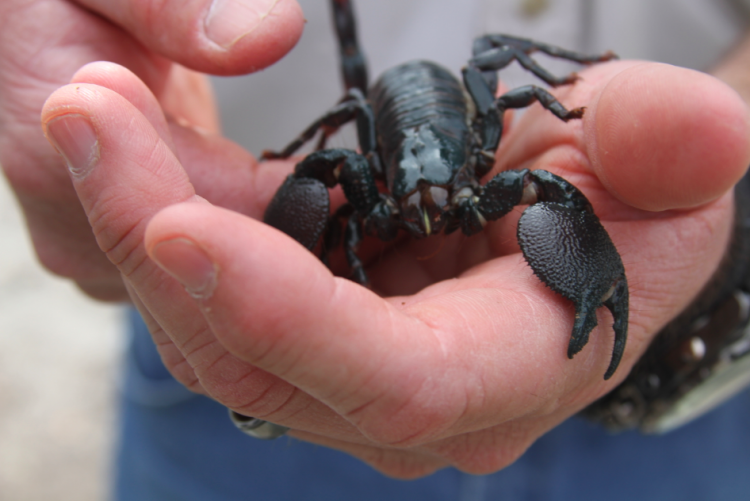 For guests who enjoy getting up close to a variety of exotic animals, this tour is a must! 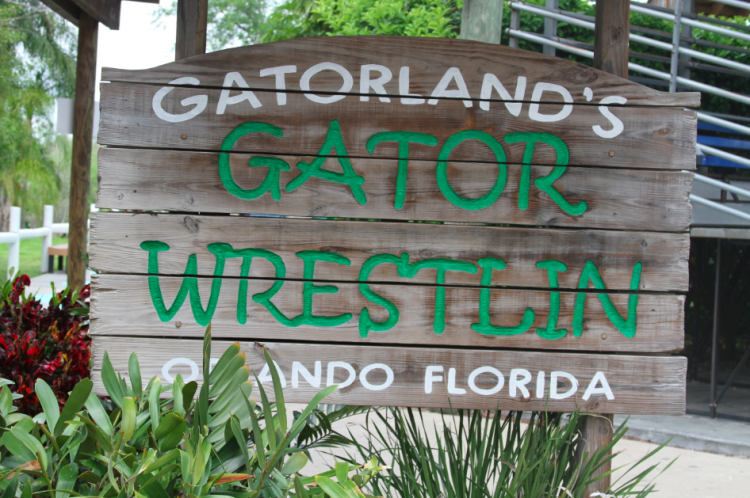 Finally, no trip to Gatorland would be complete without taking on alligators at the Gator Wrestling Arena! 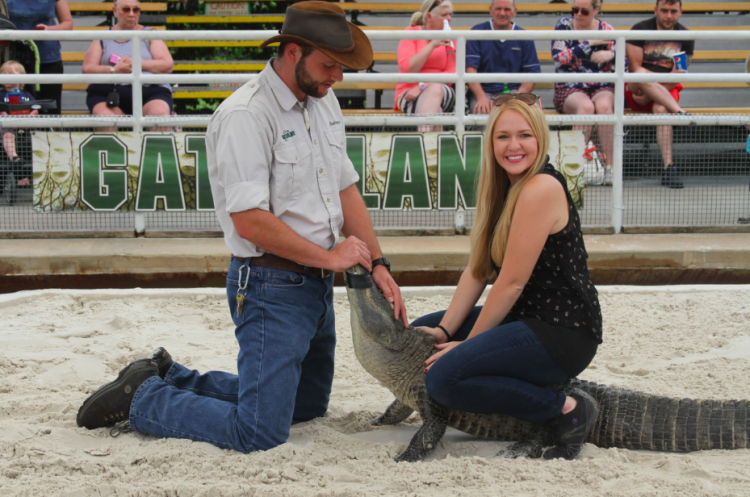 Included with the Trainer for a day program and a $10 donation otherwise, guests can work with one of Gatorland’s personal animal trainers to ‘wrestle’ with alligators and take a picture with these adorable reptiles. As an animal lover, I was certainly cautious about if this program would be taking the alligator’s well-being into account, but the trainers make sure that the reptiles are taken care of with each guest, and limit the amount of human interaction that guests can have with the animals to ensure that they stay happy and calm during the photo op. My trainer had fun with me, pretending that the tape came off of the alligator’s mouth as I was getting ready to say ‘hello’ but the joke quickly turned into a fun laugh and made for one of my favorite pictures from the trip. 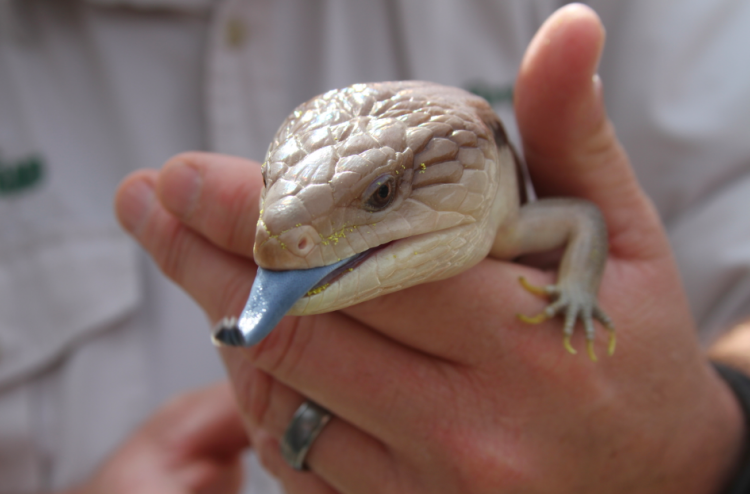 A bonus to this opportunity, is that all funds raised from the wrestling goes towards alligator conservation and providing food for these cute reptiles. Since the American Alligators were once endangered and on the brink of extinction, it feels great to contribute to helping their population thrive in a way that makes for a great conversation starter later on. In all, there is just so much to do at Gatorland, it’s hard to fit everything into one afternoon. With three shows, attractions, and various animals to have up-close encounters with, Gatorland certainly ranks at the top of my list for mandatory must-visit locations in the greater Orlando area, and will forever hold a special spot in my heart for the amazing time I had at their family run theme park. All of the staff members genuinely love their job and enjoy sharing stories about their relationships with the animals and you feel a sense of ‘home’ on their property, even if you’re across the country. 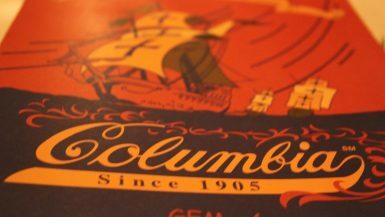 There truly is something special about this place, and it makes perfect sense why they gained the honor of Orlando’s Best Half Day Attraction. Now, if only they could gain a wider variety of awards as well, perhaps America’s Best Animal Theme Park. The title certainly would be earned.